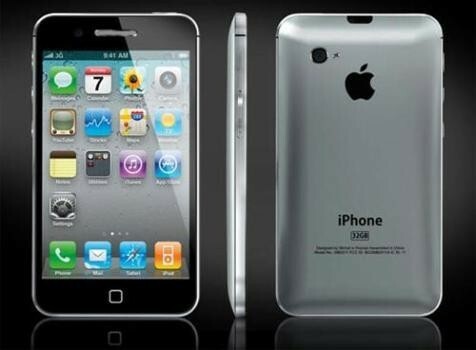 Apple's flagship smartphone iPhone 5 is almost here with the tech world looking forward to its expected launch on Wednesday. An analyst has now predicted a whopping sales figure for the new device. Adding to the rapidly growing hysteria over the upcoming iPhone 5, it's said that pre-orders of the iPhone will breach the 10 million mark in just a week of its announcement. That's a quite an achievement, isn't? The pre-order windows for the new device are also expected to open on the very same day of the launch. Apple Insider quoted Gene Munster analyst of Piper Jaffray, who said that the fifth iteration device would possibly sell about 10 million units just in a week of its release. "Market watchers generally expect that Apple will report sales of between 22 million and 23 million iPhones in the September quarter. But a launch of the next iPhone this month could push total sales as high as 28 million," Munster said according to Apple Insider. This would mean that the Apple's predicted pre-order sales would break Samsung Galaxy S3's record of over nine million pre-orders in just few days after it's unveiling in May. Galaxy S3 is known as the most pre-ordered gadget in the history. And now Apple's latest upcoming iPhone 5 is expected to take a crack at it. Going back to Apple's previous iPhone sales record, one may find that all of its entrants have made big sales in the first week. iPhone 3GS sold more than one million, while iPhone 4 had a further jump in sales, selling over 1.7 million units. The iPhone 4S, which was introduced just after the sad demise of former CEO Steve Jobs, recorded a sale of four million in its first week. But what Munster has predicted is quite a big business to Apple, which is claimed as the most valuable company in the market.